Dakar Rally TICKER: Austria´s Matthias Walkner reached the Top 3 overall today: "It's going to be the hardest Dakar ever, they said. And they were right" Day 5 was another long and demanding stage. And it's still a long long way to go," he said after the stage. Dakar Rally TICKER: Yazeed Al Rajhi and Timo Gottschalk took a bath with their X-raid Mini Buggy in the ocean... but they could finish the stage as 28th 01:54:38 hours delay today. 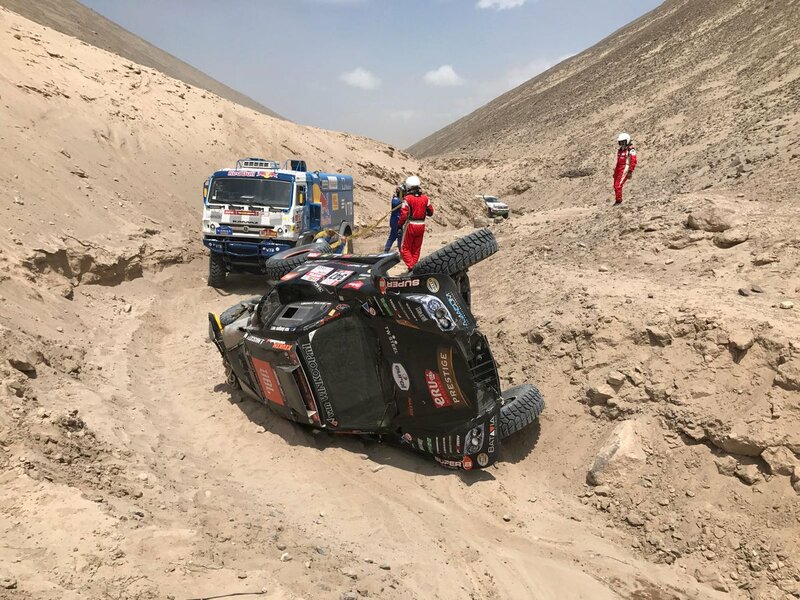 Dakar Rally TICKER: Coronel twins tipped their "Beast" - but took it easy: "Oops? One mistake only during SS05 - we went sideways but many thanks to the other teams for helping us!" wrote Tim Coronel. Dakar Rally TICKER: "Absolute nuts. The dunes in the first 53 kilometers stretch have been the toughest we’ve tackled since a long while. Bonkers. 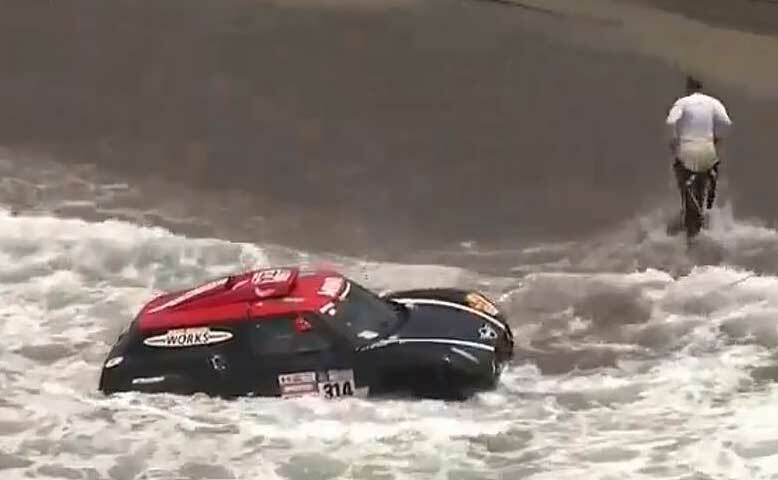 We’ve had to deflate once and use the sand boards to restart plus a puncture later on," reported Dirk von Zitzewitz, navigator of Giniel de Villiers who finished 3rd today with their Gazoo Toyota Hilux. "In the second part we had to go back and forth inside a canyon to get out, and it took 3 attemps to climb a dune. But a useful day all in all." Dakar Rally TICKER: "I knew it was the last day of sand and I had to try to catch back time. I´ve maintained a very high pace and in the end I´m able to recover some minutes. Back in the Top 10!" said today´s winner in the bikes Joan Barreda Bort (Honda), who is now 4th in the overall ranking. 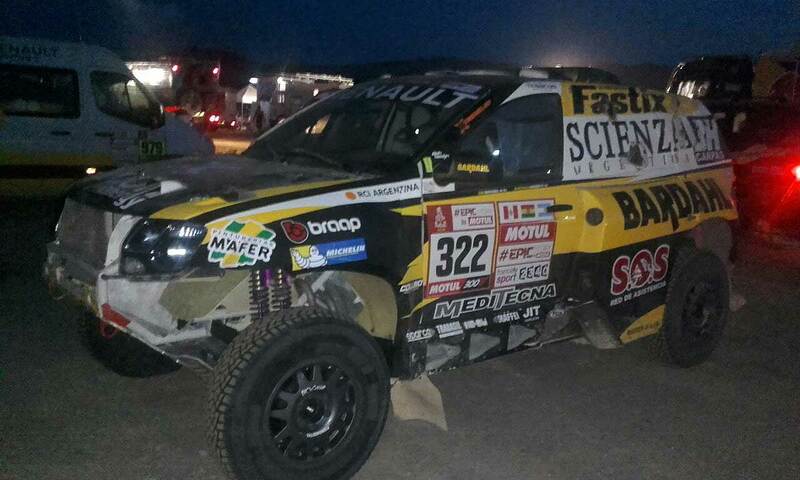 Dakar Rally TICKER: The first cars passed the today´s finish line! Provisional winner is Stéphane Peterhansel with his Peugeot 3008DKR Maxi with 02:51:19 hours, 04:52 minutes in front of the Gazoo Toyota of Dutch Bernhard ten Brinke, 12:47 before Giniel de Villiers in the second Toyota, 18:10 mins to Carlos Sainz in the second Peugeot and 24:33 to Nasser Al Attiyah in the third Gazoo-Toyota. Dakar Rally TICKER: First bikes reached the Finish of SS05: Provisional winner is the Spaniard Joan Barreda Bort (Honda) with 03:19:42 hours, followed by the Austrian KTM rider Matthias Walkner (+10:26), Argentinian Honda-rider Kevin Benavides (+12:20) and the two French Yamaha rider Adrien van Beveren (+14:35) and Xavier de Soultrait (+14:43). 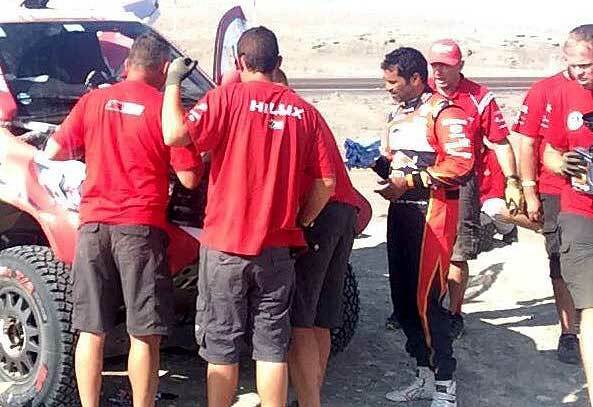 Dakar Rally TICKER: Nasser Al Attiyah with problems! As spectators reported, the Qatari Toyota Pilot has maybe some problems with the gearbox, mechanics are solving the problem. Dakar Rally TICKER: In the bikes, Joan Barreda Bort from Spain could strenghten his lead by 9 minutes to the new second Matthias Walkner from Austria. They were followed by Kevin Benavides (Honda, +10:45), Xavier de Soultrait (Yamaha, +11:39) and Gerard Farres Guell (KTM, +12:21). Dakar Rally TICKER: In the quads after the first points, Brazilian Medeiros is now leading with 22 seconds before Argentinian Cavigliasso, 2:46 minutes to Polish Rafal Sonik, 3:09 to Chilenian Enrico and 3:58 to Peruvian Alexis Hernandez (all Yamaha). Dakar Rally TICKER: Russian Yamaha quad-expert Sergej Kariakin hat to retire after an accident in which he broke his arm. He was always fighting in the front of the quads. Dakar Rally TICKER: Cyril Despres back in the race: "Following damage sustained yesterday on stage 4, we can now continue the 2018 Dakar thanks to an all-night effort to get it back on the road which involved the entire team. Thanks guys for your work!" said the French. Today he started on 16th position. Dakar Rally TICKER: In the bikes, Honda´s Joan Barreda Bort is still leading, now 6:42 minutes in front of Farres Guell (KTM), 7:17 to Yamaha´s Xavier de Soultrait, 7:47 to his teammate Kevin Benavides and 10:16 to Yamaha´s Adrien van Beveren. Dakar Rally TICKER: In the cars, actually it is not the day for the Peugeot. Sainz and Loeb stuck in the dunes and lost some time, so actual leader is X-raid driver Yazeed Al Rajhi from Saudi Arabia 24 seconds in front of Stéphane Peterhansel (Peugeot), 37 sec to Bernhard ten Brinke (Toyota), 3:17 to the private Peugeot of Sheik Al Qassimi and 5:15 minutes to the second Toyota of Giniel de Villiers. Dakar Rally TICKER: Long time with smilin´ morning: Next to many other competitors, Spanish young Rallylady Cristina Gutierrez (Mitsubishi Pajero) and Dutch Erik Wevers (Borgward BX7DKR) had a long night in the stage and arrived late... but both were able to start in today´s SS05 "in last minute". Dakar Rally TICKER: The first bikes reached WP01. Actual leader is Spanish Honda rider Joan Barreda Bort, followed by his teammate Kevin Benavides (+1:53) and Yamaha´s Xavier de Soultrait (+1:58), Husqvarna-rider Pablo Quintanilla (+3:26) and the best KTM rider Matthias Walkner (+4:13). 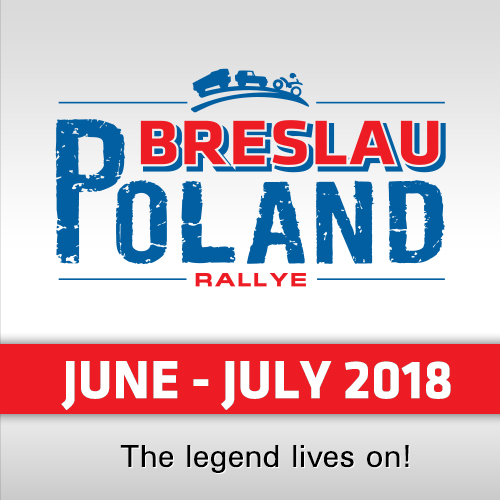 Dakar Rally TICKER: Three prominent teams left the Rally after SS04: Former soccer-trainer Andre Villas-Boas (Overdrive Toyota), Balacz Szalay (Opel Team Hungary), Emiliano Spataro (Renault Duster). "We worked all night long," reported the Renault Team, "but we didn´t make it. So sorry!" Dakar Rally TICKER: SS05 started for the Bikes and Cars, which will drive different routes today. The stage yesterday was long, many participants reached the camp today morning or had to retire. 275 teams are still in the race. In the cars 23 had to retire, 21 Bikes, 10 Trucks, 5 Quads and 1 Side-by-Side. Good Morning from South America! Today will be the fifth stage of the Rally - and it will be tough again! Feature of the day: Cikes and quads will take a separate route from the cars and trucks. 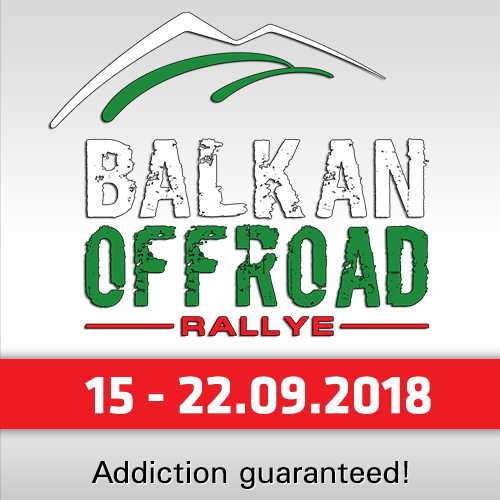 The race will start at daybreak, and follow the two different sections of special stage on the programme. The crews will therefore be the first to discover the sands of Tanaka, traversing terrain such as the 30 or so kilometers of mountainous dunes. The road to Arequipa will be long for everyone. And there may well be some late arrivals at the bivouac. 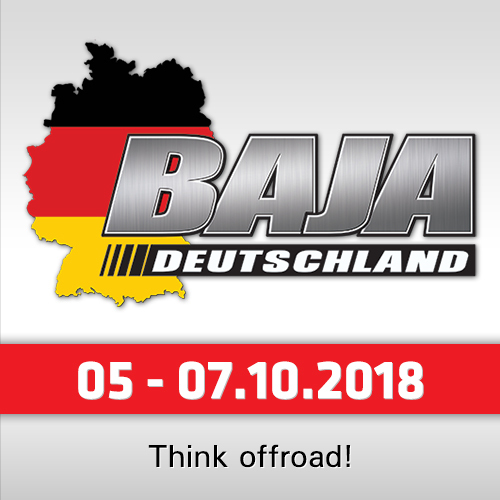 Today the bike will start first at 06:00 local time (12:00 CET), followed by the Quads at 06:39 local time (12:39 CET), Cars at 06:00 (12:00 CET), Side-by-Side 06:54 (12:54 CET) and Trucks 07:31 (13:31 CET). The Cars, Trucks and SxS are driving 268 km Stage, 934 km Liaison so 1202 km overall. 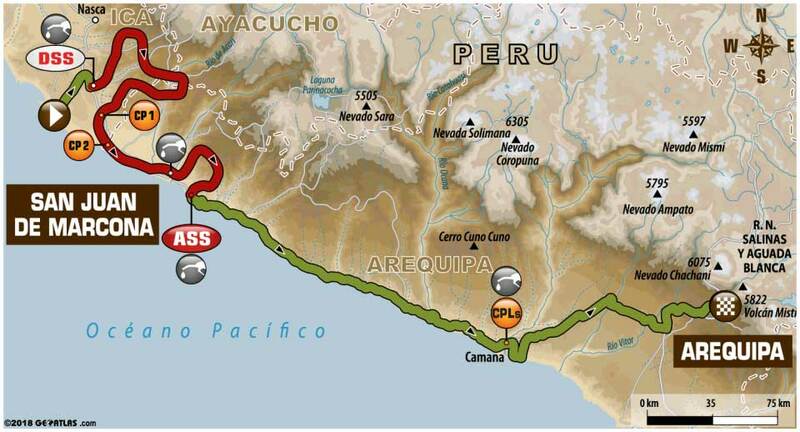 The Bikes and Quads are driving 774 km Liaison, 266 km stage so 1040 km overall.